Eye: Beautifully aged golden amber, with mahogany and copper hues. Nose: Elegant and complex, showcasing dried fruits, spices, and delicious rancio. Palate: Wonderfully structured, with a velvety texture. Fruits, marmalade, and wood, moving onto cocoa beans, vanilla, and toffee. The finish is very long, with delightful tones of rancio and cigar box. 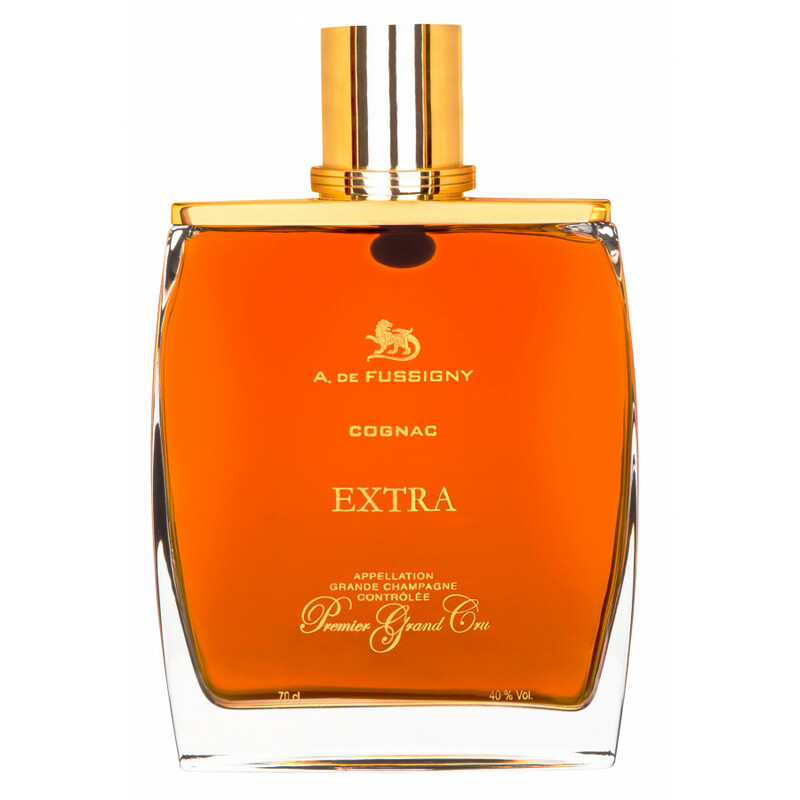 The A de Fussigny Extra Cognac is well deserving of its award winning status, because this is a very good Cognac indeed! As the name suggests, this is a truly well aged offering that comes under the banner of an Extra Cognac. What this means in practical terms is that it’s superior to that of an XO or Napoleon, and has been aged for up to 25 years or more. Not only that, but this A de Fussigny Extra is created from eau-de-vie solely from the premier terroir of the region, Grande Champagne. It’s certainly a wonderful example of why Cognacs grown in these rich chalky soils are the most sought after of all. 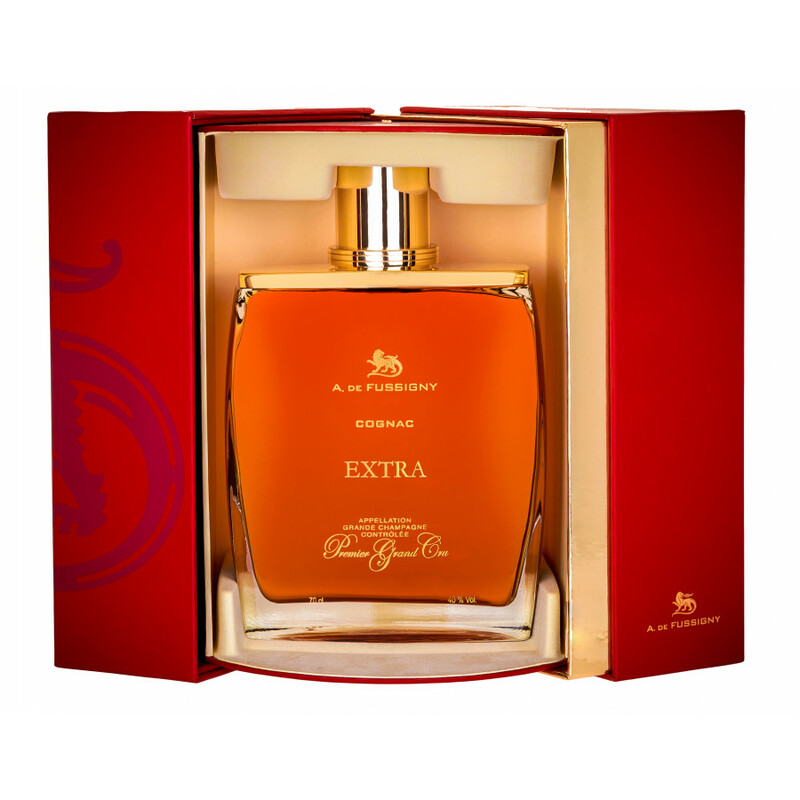 If you enjoy the finer things in life, then this is certainly a Cognac to take advantage of. And as with all of the offerings from this forward thinking range, the presentation is as delicious as the golden liquor held within. Boasting a unique location, right in the center of the town of Cognac and on the banks of the mighty Charente River, the house of A de Fussigny offers contemporary Cognacs steeped in history. It was from this very location that a historical point in time occurred. And that was when Cognac began to be sold in bottles, rather than in barrels. It was all thanks to the fact that the big wooden doors of the distillery opened out directly onto the transport network offered by this major river. Discover more in our blog article, A de Fussigny Cognac: Where innovation meets tradition. This well aged Cognac is well-deserving of being enjoyed as nature intended; neat, and in the traditional manner. It’s the perfect digestif, perhaps poured with ceremony into an old-fashioned brandy balloon glass, or the glass favored by the connoisseur—the tulip glass. Either way, allow it to sit for up to 10 minutes at room temperature, or perhaps gently warm it between your hands. However you choose, be sure to tempt your senses be allowing its delicious aromas highlight your olfactory system during this time, so heightening the anticipation. It also is the perfect pairing for any cigar. The presentation is also something to be appreciated. Clean, contemporary lines, this is a Cognac decanter that certainly invites conversation. It’s no shrinking violet, and will draw admiring glances at the most high-class of social occasions. And the fact that it comes cosseted in and elegant presentation case means that it’s the ideal gift choice for anyone who appreciates fine things. Remy Martin Louis XIII Cognac & Cigars: A match made in heaven?